53.9" snow so far this winter. Today's Hassle Factor: (2) - result of cold wind chills and wet/slushy roads turning to ice. Hassle Factor is a scale from 1 to 5 (1 is smooth sailing, 5 represents "parking lot" conditions, where nothing moves). Wednesday's (AM) Hassle Factor: (4). Waking up to 1+" of powdery snow as the coldest air (of the winter) approaches. Bitter cold coupled with 1"+ snow will create very poor travel conditions. Welcome to what will probably be the coldest week of winter. Friday morning may see some -15 to -20 F. readings in and around the Twin Cities, probably the coldest of the season. So far this month we've had 2 days without snow. Think about that. At least a trace or more of snow 15 of the last 17 days. 10.5" so far in January. 44.1" since December 1.We have already seen more snow this winter than any winter since 2003-2004. Meteorological Winter is more than half over. Tell a friend, wake a neighbor. If you look at the 90 coldest days of the year (historically), winter really begins closer to December 1, ends Feb. 28. Which means the midpoint is right around January 16-17, now in our rear-view mirror, but barely. Most winters we bottom out this week - which is fitting, because it looks like this may still wind up being the coldest week of the Winter of '10-11. No Such Thing As Bad Weather - Just Inappropriate Clothing Choices. O.K. 3-4 days of minor pain (to keep out the riff raff, right?) If you're dressed properly, multiple layers, little if any skin showing (always a good idea in my case), and if you're physically active, moving, walking, not just standing for an hour at a bus stop - you should be just fine. Thursday or Friday will probably be the coldest day of the week, possibly the entire winter. By Friday morning we may be waking up to some -10 to -20 F. readings (air temperatures) in the Twin Cities. The good news: any Arctic Swipe will be relatively brief. Here It Comes. This temperature snapshot was taken at 8 pm Monday evening, so the current map is going to look quite a bit different. Siberian air will moderate (slightly) as it drains southward, the core of the coldest air passing just north of Minnesota Wednesday through Friday. Light At The End Of The Tunnel? We've been speculating about a late-month thaw for the past 2 weeks now - nice to see that it still seems to be on track for the latter half of next week into the last weekend of January. 30 F. will feel (amazingly) good after this week. Data: GFS model. More Records. 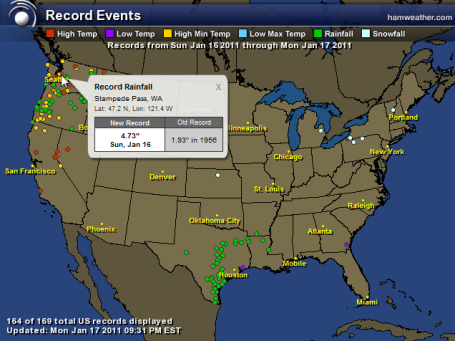 Click here to see an interactive map showing record cold, warmth, snowfall and rainfall amounts, for the previous 24 hour period, courtesy of Ham Weather, a division of WeatherNation. Monday Clipper. Over 4" south of Mankato, 1.3" in Minneapolis, officially 1.5" at MSP International, almost enough to shovel and plow (and gripe about). That's our God-given right. Griping about the weather. It's a hobby for most of us. We'll have plenty to moan and groan about for the next 4 days, then a rerun of 20s will feel pretty good next week. Think about that, where else on the planet (other than maybe Moscow) could the weather guy write "...then a rerun of 20s will feel pretty good next week? "Too Cold To Snow" (Much). O.K. That old proverb is a bit of an overstatement - of course it can snow at any temperature below 32 F. But when it's 0 or 5, or even 10 F, it usually means the core of the jet stream, the main storm track, is too far south for anything much more than just flurries. Our heaviest snows usually come when the temperature is between 20-30 F.
2010: Tied For Warmest. Also The Wettest Year On Record Worldwide. Not only did we tie a record for the warmest year, worldwide, but last year was the wettest year ever observed around the planet. The NOAA graphic above shows precipitation departure from normal from 1900-2010. 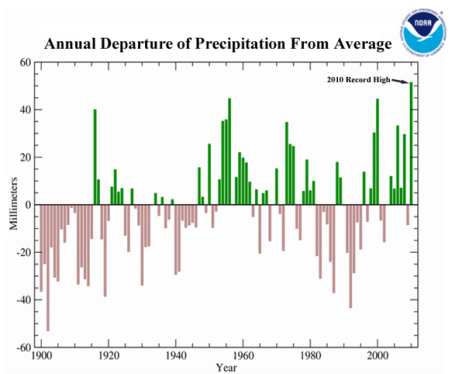 According to Professor Jeff Masters at Wunderblog: "The difference in precipitation from average in 2010 was about 13% higher than that of the previous record wettest year, 1956." Masters goes on to point out that that last year's record-tying global temperatures took place during a period of very quiet weather on the surface of the sun, when solar activity was at a minimum: "The 2010 record warmth was unusual in that it occurred during a period when energy from the sun was at its lowest levels since satellite measurements began in the 1970s. The 11-year sunspot cycle causes a 0.1% variation in the amount of energy reaching the Earth." More on the record year for global precipitation from carboncommentary.com here. 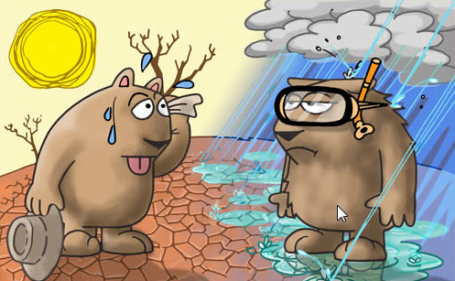 Image credit: NOAA's National Climatic Data Center. Mudslides Hammer The Pacific Northwest. An update on the widespread flooding across Oregon and Washington State from USA Today: "PORTLAND, Ore. (AP) — Heavy weekend rains causing landslides and minor flooding in western portions of Washington and Oregon are also taking a human toll with authorities reporting one death related to the storms. 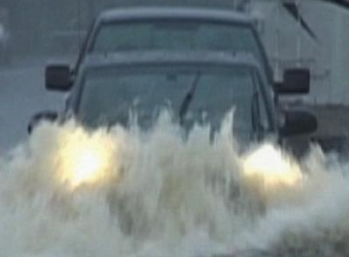 Two people have also been injured as the Pacific weather system swept into the region during the weekend, while two others were rescued after being stranded by high waters, and some evacuations were reported. The rains in Oregon were pushing some rivers and streams over their banks at a time when many waterways were rising because of warming temperatures and melting snow, with some rivers reaching flood stage and more were expected to rise above that level." Death Toll Rises To 600 From Floods, Mudslides In Brazil. 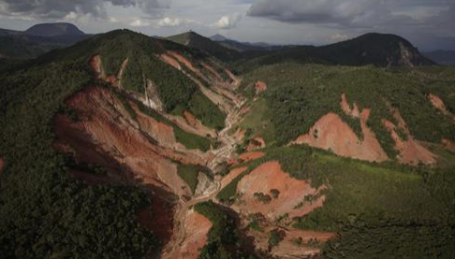 An unbelievable story from USA Today, another example of extreme weather in the southern hemisphere: "TERESOPOLIS, Brazil (AP) — Brazil's army on Monday sent 700 soldiers to help throw a lifeline to desperate neighborhoods that have been cut off from food, water or help in recovering bodies since mudslides killed at least 655 people. Troops have already set up at least one bridge in the mountain vacation city of Teresopolis, officials said, but at least 10 main highways remain blocked in the rugged area north of Rio where the slides hit, hampering efforts to move in the heavy machinery needed to begin massive clean up efforts and eventually dig out bodies stuck under tons of mud and debris. The troops plan to set up mobile bridges that can span 200 feet and are robust enough to support the hundreds of pieces of big equipment needed in clean up and recovery efforts." More January Tornadoes. Two weeks ago a swarm of killer tornadoes touched down on Missouri and Arkansas. 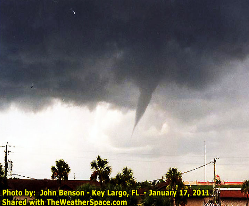 Monday afternoon tornado watches and warnings were issued for southern Florida, with several reports of funnel clouds and possible touchdowns. Here's an update from theweatherspace.com: "Several severe weather reports and even a tornado was spotted in Florida on Tuesday in two areas. A surface low moved across the state this morning through evening, bringing a round of severe weather to the region. "The predicted event did happen for the viewers", said TWS Meteorologist Kevin Martin. "This is why TWS could be important, it gives a heads up. This system is moving out and will cause snow into the Northeastern United States starting tonight". TheWeatherSpace.com received a photo from John Benson. The photo was taken in Key Largo, Florida. 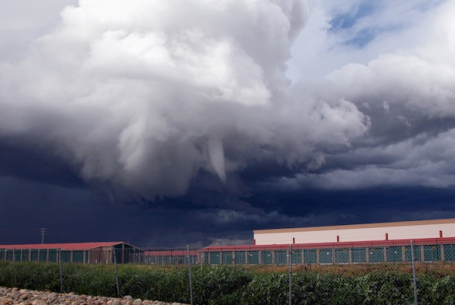 It shows a funnel cloud more than halfway down and it is possible the suction touched the ground. One was reported via NOAA near Cape Canaveral as well." For Magazines, A Bitter Pill In iPad. Finding new business models (with an iGun pointed at your head in the form of a shiny new, content-laden digital tablet) is always tricky, a little like trying to paint an airplane (in flight). The world's publishers are making a valiant effort to charge for their unique, differentiated content, but putting the Genie back into the bottle is proving tricky. Many consumers expect content for free (and then gripe when ads come on). Who is going to pay for all that (great) content on your tablet or smart phone? If you really want free - you may be very disappointed with the ultimate quality of the content. A story from the New York Times: "The frustration that the country’s magazine and newspaper publishers feel toward Apple can sound a lot like a variation on the old relationship gripe, “can’t live with ’em, may get left behind without ’em.” Since Apple introduced the iPad last year, publishers have poured millions of dollars into apps in the hopes that the device could revolutionize the industry by changing the way magazines are read and sold to consumers. But at the same time, the industry is discovering a lesson already learned by music labels and Hollywood studios: Apple may offer new opportunities with its devices, but it exacts a heavy toll. Magazine publishers argue in particular that limiting magazine sales on the iPad to single issues (except in a handful of cases) has hamstrung publishers from fully capitalizing on a new and lucrative business model." Top 20 Free Apps For Your iPad. Hard to compete with free, huh? I'm amazed by how much (good) free content is out there - which makes it even tougher for publishers and content creators trying to get paid. Relying on advertising as a business model is fraught with peril, but for now, go ahead and download while the downloading is good (and free). 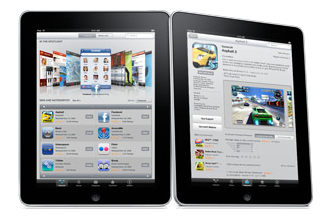 A few ideas from makeuseof.com: "Fortune magazine reports that over 6 million iPad apps were bought over this past Christmas season. If you were among the lucky ones to get the world’s most popular computing tablet, you no doubt will want to start filling it up with very useful free apps. I posted a list of the top 10 apps for the iPad when the iPad debuted back in April, but since then several other top free apps have been developed or optimized for the iPad. Some of these apps have already been reviewed on MUO, but we’re including them again for new MUO readers and iPad owners." "Good news for Swiss bankers: They may soon be allowed to wear red underwear, black nail polish — and even eat garlic. 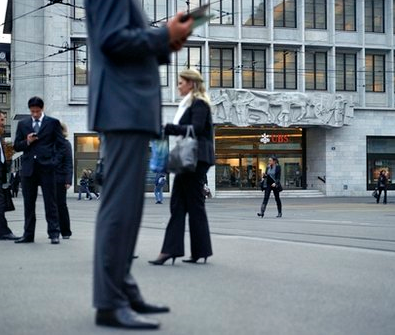 Swiss banking giant UBS AG said Monday it is revising its 44-page dress code telling its Swiss staff how to present themselves, which generated worldwide ridicule for its micromanagement of their dressing and dining habits. The code instructs employees on everything from their breath — no garlic or onions, please — to their underwear, which should be skin-colored. "We're reviewing what is important to us," UBS spokesman Andreas Kern told The Associated Press. He said the bank would issue a pared-down booklet with more general guidelines on how to impress customers with a polished presence and sense of Swiss precision and decorum. The existing code tells female employees how to apply makeup, what kind of perfume to wear and what color stockings are acceptable. It advises them not to show roots if they color their hair and to avoid black nail polish." Clipped Again. Admit it (privately). 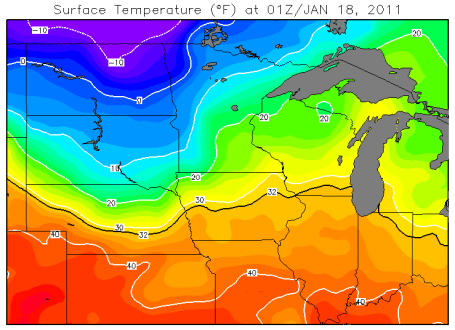 25 felt OK out there Monday afternoon, the same clipper that squeezed out 1.3" on the Twin Cities also inhaled slightly milder air into Minnesota. 2.4" at International Falls, 1.3" Duluth, nearly an inch at Rochester and .2" at St. Cloud. Pity the (wimpy) New York City journalist who visited St. Paul in 1885, calling it "another Siberia, unfit for human habitation." Spoken like an eastern elite. In response St. Paul decided to build a massive 106 foot high ice palace. In 1886 the St. Paul Winter Carnival kicked off, proving that it's not only possible to survive a Minnesota winter, but thrive. Now might be a good time to remind you that "the winter of our discontent" will come to and end. Mud-season is 45-60 days away, in 80 days (give or take) the first green buds of spring will reappear, a promise of another (miraculous) summer to come. 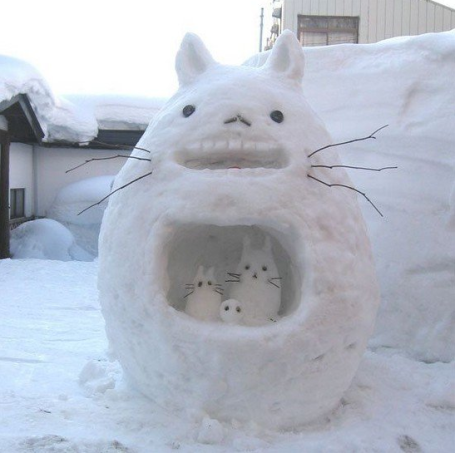 In the meantime we'll muddle through another character-building week, probably one of the 2 coldest of winter. Expect 3 subzero nights, but I don't see any record-setting chill. At least you won't have to shake your fist at a snowy sky: big storms detour well south of Minnesota; a meager clipper capable of a quick inch Friday, a couple inches possible early Monday. 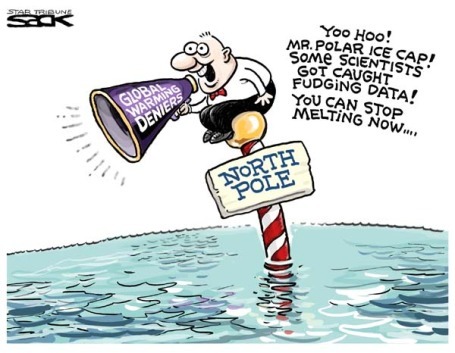 Climate Skepticism vs. Denial. Skepticism is healthy, I admire/respect anyone who has a healthy level of skepticism, about anything. Some of the climate "deniers" don't like the term. Lou Grinzo is a researcher, writer, economist and climate wonk; here are his thoughts on the term "denier", which I republish with his permission. 2. Skepticism when encountering new things is usually a healthy thing. Helps keep scam artists at bay, prevents many women from dating men of questionable character, etc. 3. When someone is engaged on a topic for an extended period of time (meaning several to many times longer than would be necessary for anyone with Internet access and a modicum of good faith to educate him/herself), then disagreeing with the vast majority of experts on any topic is not "skepticism" but "denial". 4. There will always be a small segment of people who truly are climate change skeptics. This is a natural transitory state all newcomers approaching the topic in good faith should pass through. We can help them with that process, but only if they're willing to be helped. 5. The climate change deniers are just that, deniers. There is no reasonable excuse for their position; it's a willful rejection of reality based on ideology and/or financial interest. Why The CIA Is Spying On The Changing Climate. An interesting story from the Jerusalem Post: "Last summer, as torrential rains flooded Pakistan, a veteran intelligence analyst watched closely from his desk at CIA headquarters just outside the capital. For the analyst, who heads the CIA’s year old Center on Climate Change and National Security, the worst natural disaster in Pakistan’s history was a warning. 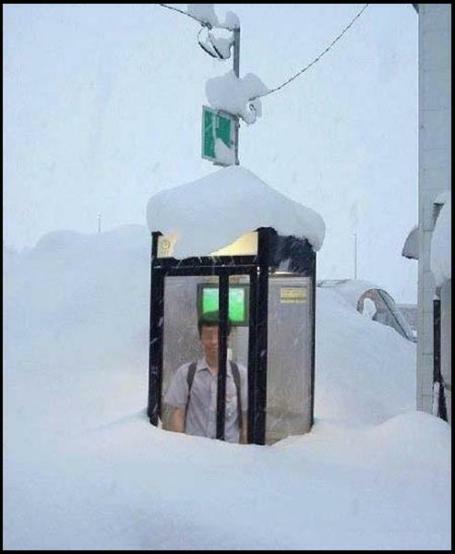 “It has the exact same symptoms you would see for future climate change events, and we’re expecting to see more of them,” he said later, agreeing to talk only if his name were not revealed, for security reasons. “We wanted to know: What are the conditions that lead to a situation like the Pakistan flooding? 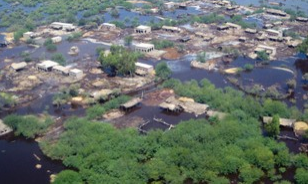 What are the important things for water flows, food security ... radicalization, disease” and displaced people? As intelligence officials assess key components of state stability, they are realizing that the norms they had been operating with – such as predictable river flows and crop yields – are shifting." Potential For A "Superstorm" in California? A massive, long-lasting winter storm capable of flooding a quarter of all homes in California, with a price tag in excess of $300-400 billion? According to 100 scientists who gathered recently to discuss this very scenario, it's happened before: "Geological Survey director Marcia K. McNutt told the New York Times that a 300-mile stretch of the Central Valley was inundated from 1861-62. The floods were so bad that the state capital had to be moved to San Francisco, and Governor Leland Stanford had to take a rowboat to his own inauguration, the report notes. Even larger storms happened in past centuries, over the dates 212, 440, 603, 1029, 1418, and 1605, according to geological evidence." More details from Yahoo News here. Are Canada's Climate Scientists Muddying The Waters Over Global Warming? This post from Alternet that caught my eye: "Wikipedia describes David Phillips as “One of Canada’s most knowledgeable weather experts, the official spokesman for Environment Canada’s Meteorological Service, recipient of the Order of Canada and the author of several books.” Phillips is charming, convincing and the “go-to guy” for media wanting a story about weather or climate. Last month, he told CBC Television’s “The National,” it would be “bad science” to suggest a link between climate change and a string of record-breaking storms which ravaged several regions of Canada last year!Bad science? Phillips did not say; there may be a link but it’s not possible to conclude, scientifically, at least not yet. He did not say; the storms were at least consistent with the now abundant body of climate science evidence as it relates to extreme weather. He did say, all these storms may be a dress rehearsal or taste of things to come. (But he would not say climate change!)" 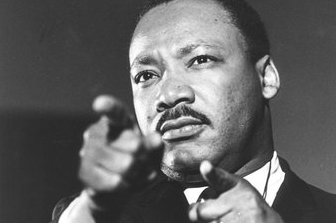 What Would Martin Luther King Jr. Do? Christians And Climate Change. From Australia's ABC Network (religion and ethics). Jarrod McKenna writes in his article: "The legacy of Martin Luther King Jr and the reality of climate change are both victims of western culture's remarkable capacity to accommodate and neutralise that which is most critical of it....First, many of us fail to see what World Vision Australia sees all too clearly: climate change is hitting the poorest of the poor the hardest. Recently Tim Costello and I were in Chennai with Jayakumar Christian, CEO of World Vision India. Dr Christian told us plainly "we are already seeing the effects of climate change." Climate change is like a giant anti-development force unleashed on the world, aimed at the poor. This is why Tim Costello has repeatedly said, "climate change will undo sixty years of development if we don't act now." It is also why evangelists like Tony Campolo are saying, "You can't be a Christian and not be an environmentalist." Was Climate Change Responsible For The Rise And Fall Of The Roman Empire? Reading between the lines: Researchers studied ancient tree growth rings to show links between climate change and major events in human history. The U.K.'s Daily Mail had an eye-opening story, using "proxy data" (in this case tree rings) to come up with a few suprising conclusions: "Climate change could have been responsible for bringing down the Roman Empire, scientists believe. 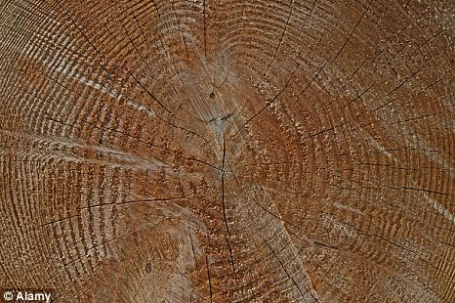 Researchers studied ancient tree growth rings to show links between climate change and major events in human history such as migrations, plagues and the rise and fall of empires. They discovered that periods of warm, wet weather coincided with period of prosperity, while droughts or varying conditions occurred at times of political upheaval such as the demise of the Roman Empire."